Uwaga: Przedsprzedaż. Gra ma się ukazać około 21 grudnia. Promocyjna cena do 16 grudnia. The Gallic Wars. The Helvetii decided in 58 BC, under pressure from Germanic tribes, to leave their lands (now the Switzerland) and emigrate to the Atlantic coast of Gaul. Caesar, proconsul for the provinces of Cisalpine and Transalpine Gaul, took the initiative in order to prevent a migration that would have greatly destabilised independent Gaul. He intercepted and massacred the Helvetii near Bibracte in the lands of the Aedui. Next, answering a call from the Sequani, Caesar marched off to meet the Germans of Ariovistus in the east of Gaul, and defeated them in pitched battle. Julius Caesar had now become a player in the political balance of Gaul who could no longer be ignored. His army, although large enough to take on coalitions of several tribes, was nonetheless not strong enough to face a general rebellion in Gaul. He therefore had to continually play on the political divisions of the Celts in order to defeat them in detail. The balance sheet after the first two years of war, was excellent. 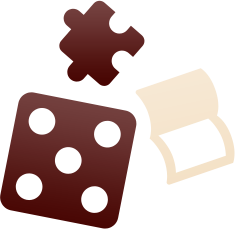 Caesar had won three large pitched battles and beaten the most virulent tribes. His army had operated grouped together and had shown itself to be invincible in open country. After four years of ‘regional’ operations, the war took off again with a revolt in Gaul that became progressively more widespread. 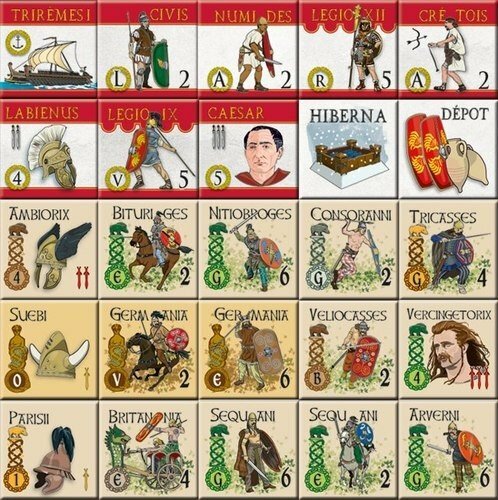 United by a young and ambitious chief of the Arverni, Vercingetorix, the tribes of the whole of Gaul forgot their rivalries for a time in order to combine against the Romans. 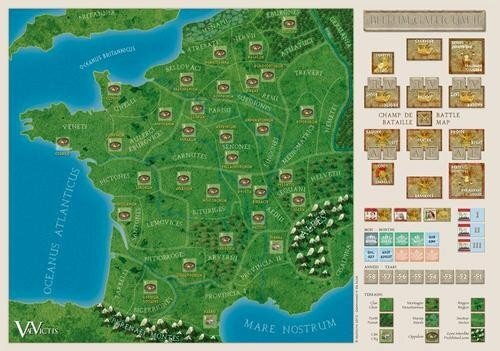 Vercingetorix’ strategy in 52 BC was based upon refusing to engage in pitched battles, preferring instead guerrilla actions and a scorched earth policy. The inevitable and deadly conclusion of the campaign took place in Alesia where Vercingetorix was shut in, besieged and then forced to surrender. The last year of the war was just a formality. Gaul became Roman and would remain so for five centuries. 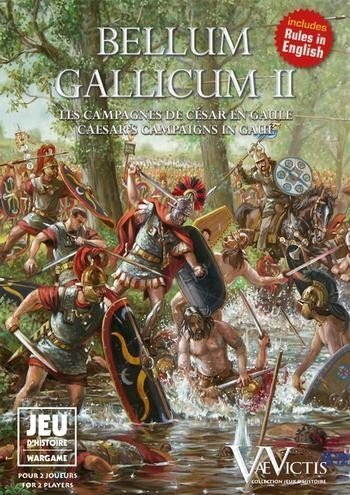 Bellum Gallicum II contains several independent scenarios and a campaign game covering the whole of the Gallic Wars. Will you be able, like Vercingetorix, to mobilise enough of the Gallic tribes to dishearten the Romans? Or, like Caesar, will you be able to lead the Roman legions to victory and conquier the Gaul? Obrazki na stronie są mylące. W moim egzemplarzu żetony są źle wysztancowane i drą się na rogach (mimo, że potraktowałem wszystko nożykiem). Plansza po rozprostowaniu na zagięciach od razu zbielała. Scenariusze nudne i chyba tylko kampania ratuje grę.